Games4King Farmer Escape From Forest House info about the game-Games2Rule. 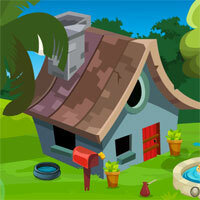 G4K Farmer Escape From Forest House is another point and click escape game developed by Games 4 King. There were a few houses in a beautiful and magnificent forest. The place was beautiful to see. One farmer lives in that forest. The farmer was unexpectedly stuck in the house there for a day.